Abstract—In this article the performance of microlens based free space optical interconnects system under paraxial approximations is considered. Instead of using Gaussian beams, we propose the use of the Bessel beams to transfer the information. The performance of the proposed system is evaluated and compared with that of Gaussian beams using the signal to crosstalk ratio as the system metric. It is shown that the optical system that uses Bessel beams gives superior results when used in applications with large interconnects length. Index Terms—Bessel beams, diffraction, free space optical interconnects, gaussian beams, non-diffracting beams. N. Al-Ababneh is with Department of Electrical Engineering, Jordan University of Science & Technology, Irbid, Jordan (e-mail: nedalk@just.edu.jo). 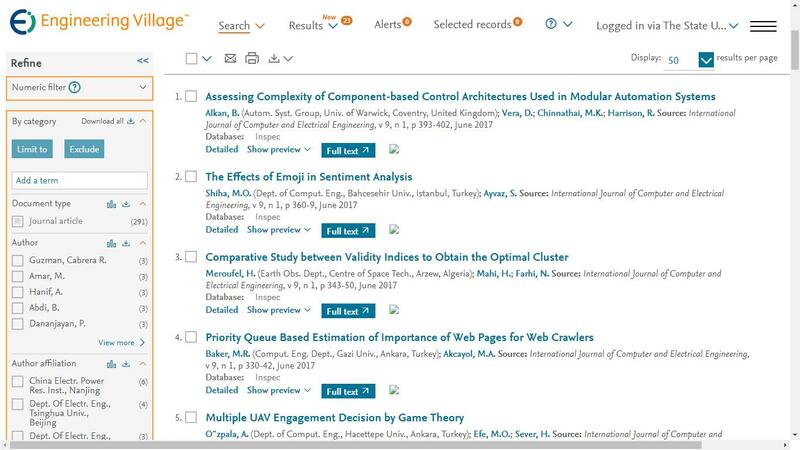 Cite:Nedal Al-Ababneh, "Performance Analysis of Paraxial Free Space Optical Interconnects System that Uses Bessel Beams and Micro-Lenses with Circular Apertures," International Journal of Computer and Electrical Engineering vol. 6, no. 4, pp. 342-345, 2014.